Are you worried about BPA in your kid's cup? • Discard scratched baby bottles and infant feeding cups. • Pay attention to temperature when heating your child’s breast milk or formula. Studies have found there is a very small amount of BPA in plastics and other packaging materials that can transfer to food and liquids.Additional traces of BPA levels are transferred when hot or boiling liquids or foods come in contact with packaging containing BPA. What about you? 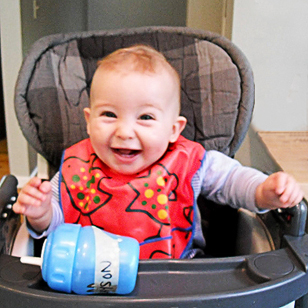 Are you worried about BPA when it comes to your kids’ health? What are you doing about it? Share your comments.